One New Jersey Town Proposes To Criminalize Having A Barking Dog? According to news reports, the issue of barking dogs may soon turn into a crime here in New Jersey. The ordinance—introduced in Saddle River—states that any dog that annoys neighbors or others by continuously barking for more than 20 minutes between 7am and 10pm or 15 minutes between 10pm and 7am could result in jail time for the owner for up to 90 days. Ultimately, a judge would decide on a fine between $100 and $1,000, as well as whether the dog owner serves community service and/or prison time. The proposal also holds owners responsible for their dog’s damage and/or otherwise trespass onto someone else’s property. While most New Jersey localities already have ordinances that address noisy dog issues, this one goes further in terms of turning it into a crime—does it also go too far? 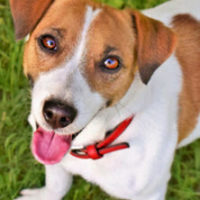 According to the language in the ordinance, if the Court finds that the dog has committed the prohibited acts, then there is a presumption against the dog owner that they have allowed the acts to occur and it is unnecessary to prove that the dog owner had any intention or knowledge of it. It is also entirely within the discretion of police officers as to how and when the new law is enforced, which can open things up to abuse in a number of circumstances. Is This Even Necessary For The Public Interest, Health, And Safety? There is also no indication that the town actually needs an ordinance like this in place, as there reportedly have not been any actual complaints about barking dogs over the last two years and, in fact, there appear to be even fewer barking dog complaints in Saddle River than in other New Jersey towns. In addition, while a barking dog may indeed be a nuisance to surrounding neighbors, there are also certain rights that dog owners have with respect to their dogs and the property that they are on. The issue raises a number of related questions, such as how law enforcement would enforce the law if the dog is barking while no one is home—would they enter the premises? Would they need to obtain a warrant first to do so? Unfortunately, the ordinance, as drafted, is very vague with respect to the details. Specifically, there are a number of pet owners who are concerned that the ordinance could provide neighbors who simply dislike their neighbors or the dogs in their neighborhood to call in to complain, thereby abusing the law. If you have been accused of a ridiculous crime here in New Jersey—perhaps one that infringes upon your constitutional rights without any real justifiable need—contact our New Jersey criminal defense and civil rights attorneys at the office of Phillip J. Murphy today to find out how we can help.